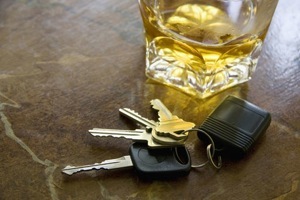 Some of the worst personal injury car accidents are caused by drunk drivers. Unfortunately, people still make the big mistake of having too much to drink, and then getting behind the wheel. When this happens, the drunk driver not only puts his/her safety at risk, they’re also putting the safety of the public at large at risk. Drunk driving cases may involve a criminal component to the case whereby the police charge the drunk driver. And, if there are serious personal injuries caused by the drunk driver, the personal injury lawyers of Goldfinger Injury Lawyers can also sue the drunk driver at well for damages. The evidence gathered from the criminal proceeding is very important and can be of great assistance to the personal injury aspect of the drunk driving case. Drunk drivers may hit other motorists, or they may even hit pedestrians causing serious personal injury including broken bones, head trauma or brain injury. If you’ve been hurt by a drunk driver, the first thing which you should do is call 911 to have police and ambulance dispatched to the accident scene. They will be able to care for your immediate injuries, and do their best to track down the drunk driver. If you’re mobile and the drunk driver has sped off, do your best to get the license plate number, along with the make and model of the car which hit you. The police have a comprehensive database and teams to catch the offending drunk driver. The next thing you should do is contact a personal injury lawyer at Goldfinger Injury Lawyers at 1-877-730-1777 or info@goldfingerlaw.com for your free, no pressure consultation with a drunk driving accident lawyer. We will deal with your hospital, with your insurance company, with the police and with the insurance company of the drunk driver which hit you. We will help you in alleviating the pressure of getting back to your feet so you can focus on your recovery. Our lawyers have recovered millions on behalf of accident victims who have been struck by drunk drivers. We have set them up with twenty four hour attendant care, home and housing modification, income replacement benefits, care giving benefits, massage benefits, physiotherapy benefits, housekeeping and home maintenance benefits. We know how to weave through the legal loop holes in drunk driving cases to get crucial evidence used in the criminal case; admitting into the personal injury case to recovery additional damages on your behalf. Goldfinger Injury Lawyers has helped countless accident victims of drunk driver cases in Toronto and the surrounding areas with their personal injury cases involving drunk drivers. Let us help you today. 5.0 "Thank you Goldfinger Injury Lawyers"